Sequitur Labs Inc. and Scalys Collaborate to Bring Secure IoT Edge Solutions to Market | Sequitur Labs Inc.
SEATTLE, February 25, 2018 /PRNewswire/ - Sequitur Labs and Scalys, a maker of high performance, scalable systems signed a MoU to bring a hardware/software security solution for use in IoT devices across multiple industries and devices. 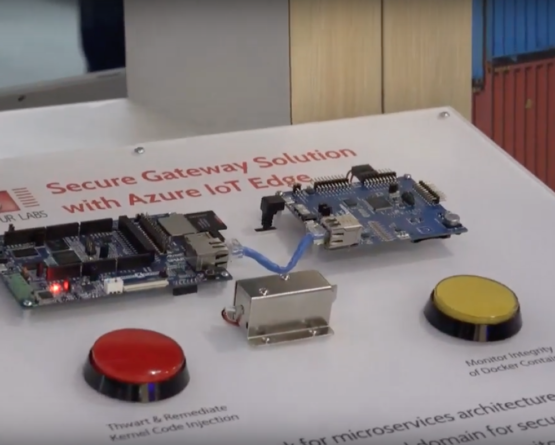 Recognizing the need for stronger security, Scalys and Sequitur Labs today announced a collaboration to reduce time-to-market for secure IoT and embedded products. The joint hardware/software solution makes it easier for IoT solution developers to use advanced hardware security features available on a variety of Scalys platforms starting with the Scalys LS1012 based on NXP’s QorIQTM LS1012 single core 64-bit Arm® Cortex®-A53 core processor. The two companies will also collaborate on joint marketing and sales efforts. Sequitur Labs’ embedded security platform, EmSparkTM, delivers capabilities enabling device makers to make use of hardware security features and create trustworthy products. These include the ability to establish a hardware root of trust, an immutable and trustworthy device ID, and payload attestation for secure firmware update. EmSpark also provides a suite of pre-built security applications designed to address the most critical security use cases. It allows developers and device OEMs to focus on developing their applications, gain time-to-market efficiencies, and lower the cost of security implementation. 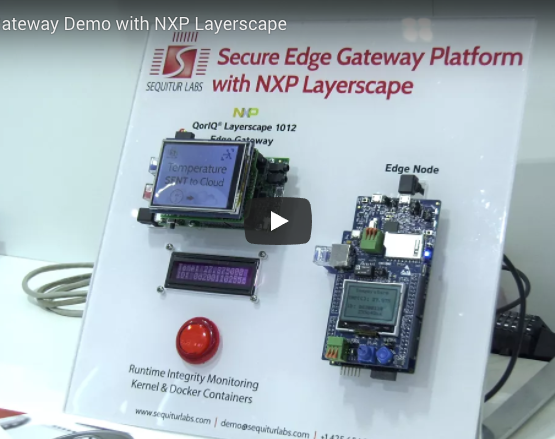 The Scalys LS 1012 module incorporates NXP’s Trust Architecture with features like secure-boot, key-management, secure storage, tamper-detection, run-time Integrity checking and hardware isolation, support for random number generation and cryptography. The module is optimized for battery-backed or USB-powered, space-constrained networking and IoT applications such as secure edge IoT gateways. “It is important for Sequitur to work with device platforms that have correctly implemented hardware security. Combining our solution with the Scalys Grapeboard makes it perfect platform for OEMs to develop secure devices,” said Philip Attfield, CEO of Sequitur Labs. “For Scalys, it’s important to have a good embedded security platform implemented to create trustworthy products. The combination of Sequitur embedded security platform and our secure communication products makes it possible to realize secure edge devices,” said Hans Klos, CEO of Scalys. [...] The combination of Sequitur embedded security platform and our (Scalys) secure communication products makes it possible to realize secure edge devices. Scalys, based in Hengelo (the Netherlands), was founded in 2017 to provide advanced high-performance embedded system solutions. Scalys offers Unique Solutions to develop the Next Generation in Secure & High-Performance Communications delivering enterprise-class performance and security capabilities using highly Scale-able & Modular platforms. To learn more about Scalys secure communication solutions, visit us at www.scalys.com or send email to info@scalys.com.